Another successful CPhI North America conference gave us the unique opportunity to meet up with the top industry players as over 7,000 professionals descended on Philadelphia, PA for 3 days last April. We hope we had a chance to meet up with you during this event. If not, contact Ozzie Squires at 716.247.5287 (ext 201) and we can follow up with you. 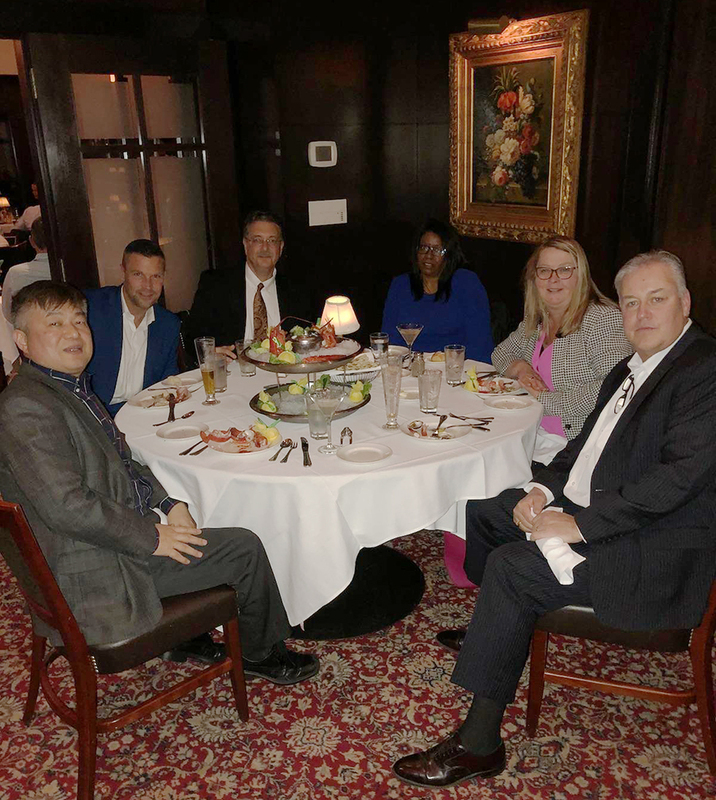 One Source Biopharma at our Customer Dinner during in Philadelphia, PA last April 2018. 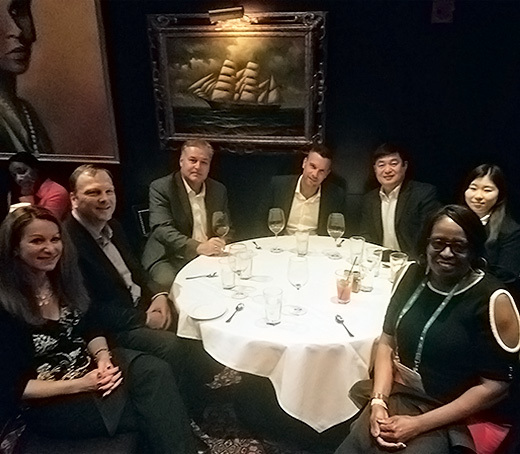 From Left to right: James Wang (Shanco/XZL Biotech), Jim Coffarelli (Avantor), Eric Wolf (Xenos), Tracy Lashley (OSB), Charlotte Hicks (Avantor) and Ozzie Squires (OSB). Once again, One Source Biopharma will be attending the CPhI North America with over 7,400 attendees and 630+ exhibitors. This event will be the epicenter for pharma innovation, emerging trends, insights, and education in North America. This yearly event is a unique opportunity to discuss emerging pharmaceutical technologies and solutions, a chance to network with top industry players, learn more about the latest trends and regulations, and learn how to more effectively do business in today’s pharma industry. Stop by and see us at booth #125 in Philadelphia, PA on April 24-26, 2018. 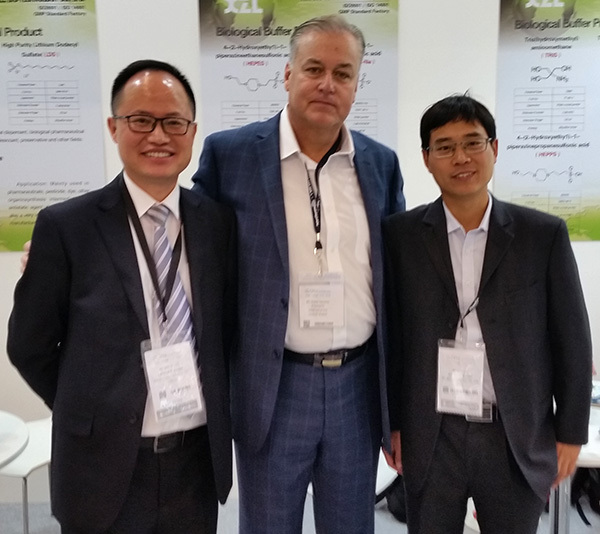 The OSBiopharma team spend a successfully 3-days at CPhI in Frankfurt Germany, the world’s largest pharmaceutical event. We joined 45,000 visiting pharma professionals networking over the three days along with 2,500+ exhibitors from 153 countries. 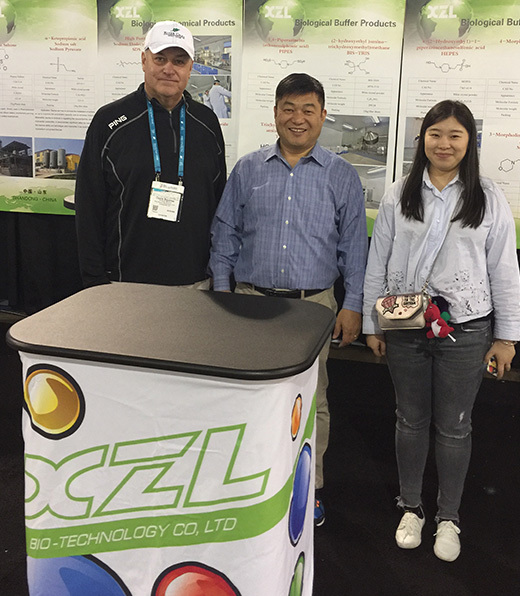 From (L to R): Peter Lv, XZL Biotechnology Sales agent Europe and Japan, Ozzie Squires, President of OSBiophara, and Jaylen Liu, GM of XZL Biotechnology. The OSB team recently attended the 2017 CPhI North America / InformEx conference where visiting pharma professionals met over three days in Philadelphia, PA. It is always great to meet with our colleagues and see a lot of new faces. Ozzie and the OSB team at booth #2751 at this year’s conference.